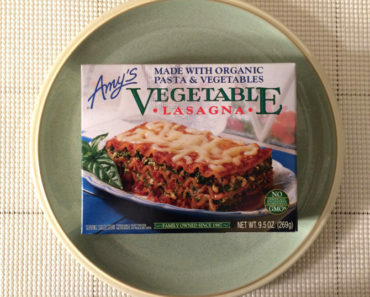 When we first saw Amy’s Light & Lean Spaghetti Italiano, we were on the fence about it. 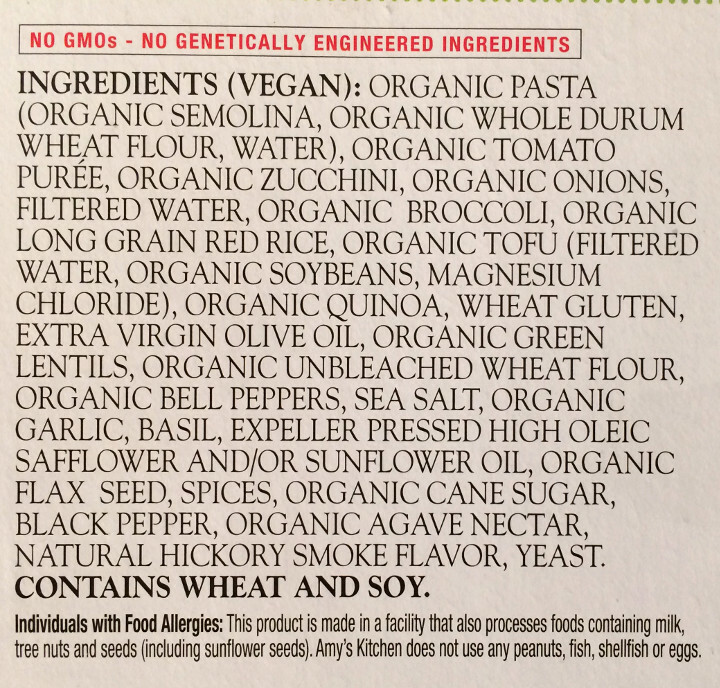 The meal definitely looked tasty, and the nutritional label looked even better. 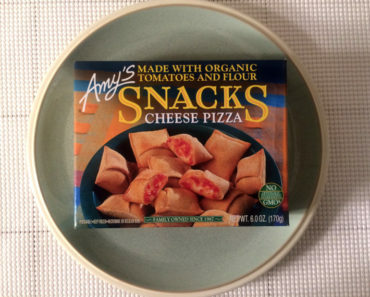 However, the last time we tried a low-calorie Amy’s meatball dish, we were sorely disappointed. So tried not to get our hopes up. We were bracing ourselves for something that tasted a little off. 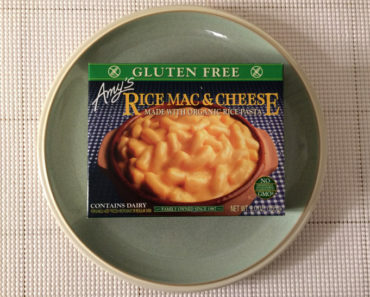 But we started feeling better when we took this meal out of the microwave. It smelled so delicious that our concerns about the taste were melting away. We picked up our forks, dug in, and mostly enjoyed the meal. The meatballs are definitely the weak point of this dish — neither the taste nor the texture worked for us. They’re extremely dry and very salty. At times, they taste almost powdery. Luckily, there’s a solution to the meatball problem: If you douse the meatballs in sauce, it masks a lot of their unpleasant aspects. 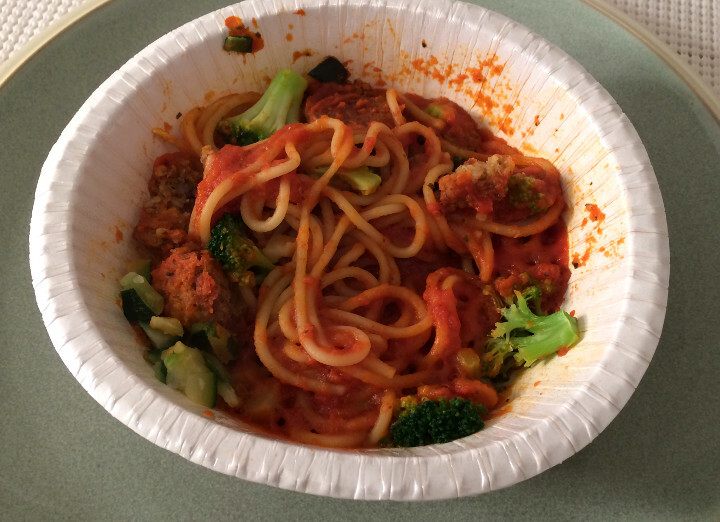 The tomato sauce is so appetizing that it can easily make up for a bad meatball. The other elements of this dish are a lot better than the meatballs. The vegetables all taste very fresh and are cooked well. 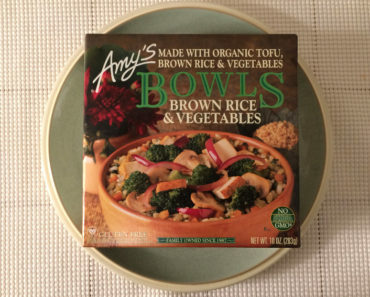 There’s not a ton of variety here — we mostly had broccoli and zucchini in our bowl — but we don’t feel like this dish is lacking in any way. We also really enjoy the pasta. Although we normally prefer our pasta al dente, we thought this softer pasta complimented the rest of the dish nicely. The length of the pasta made it easy to wrap around a fork. 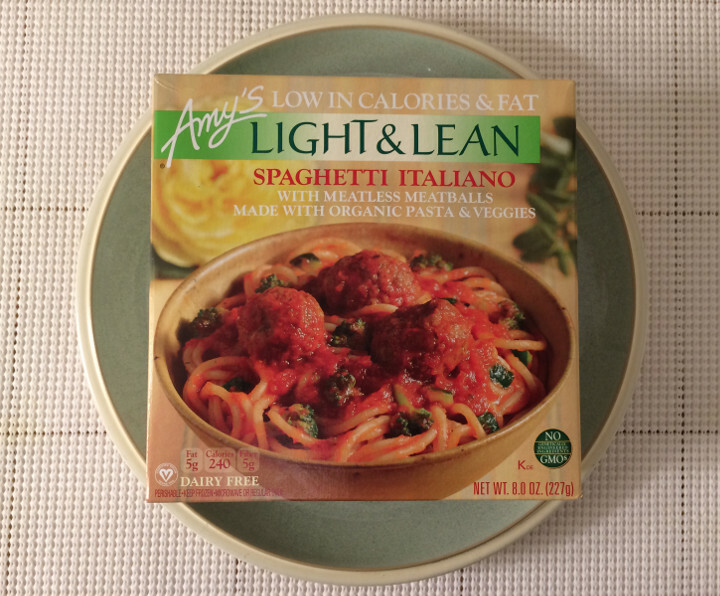 With better meatballs and a little bit of parmesan cheese, Amy’s Light & Lean Spaghetti Italiano would truly be something to write home about. 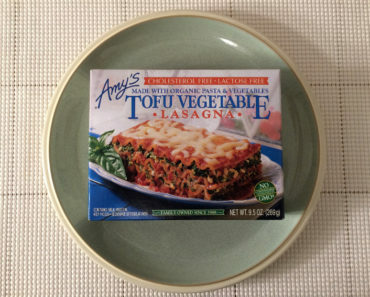 As is, it’s a tasty vegan pasta meal that clocks in at 240 calories. If you’re watching what you eat and are craving spaghetti, this meal might be worth sampling. 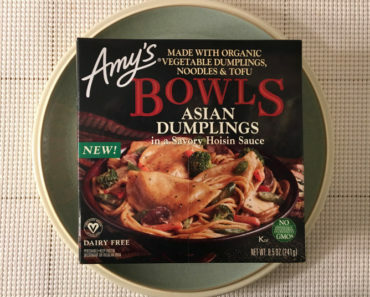 For more information about this frozen pasta dish’s ingredients and nutritional content, check out our package scans below.